After the success of ‘Open Space’ and his remix of Zedd’s ‘Spectrum’, Arty is back, accompanied by two legends of the dance floor as he teams up with BT and Nadia Ali for his latest offering, ‘Must Be The Love’. 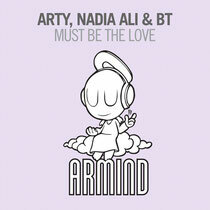 With the unmistakable vocals of Ali oozing throughout the track, ‘Must Be The Love’ sees Arty and BT pull out all the stops to concoct a euphoric progressive house track. Well crafted, this is a lesson in creating a track that’s as good and full of energy coming through headphones as it is blasting out of the speaker systems of clubs. Due for release on Armada Records on September 17th, it’s available exclusively on Beatport.